Generally, what is Politechnika Warszawska like? The University has two sides to it, a good and a bad one. Starting with the latter, it is very disorganized. I almost never knew when tests, exams, homework, projects, or any other deadlines were to happen. 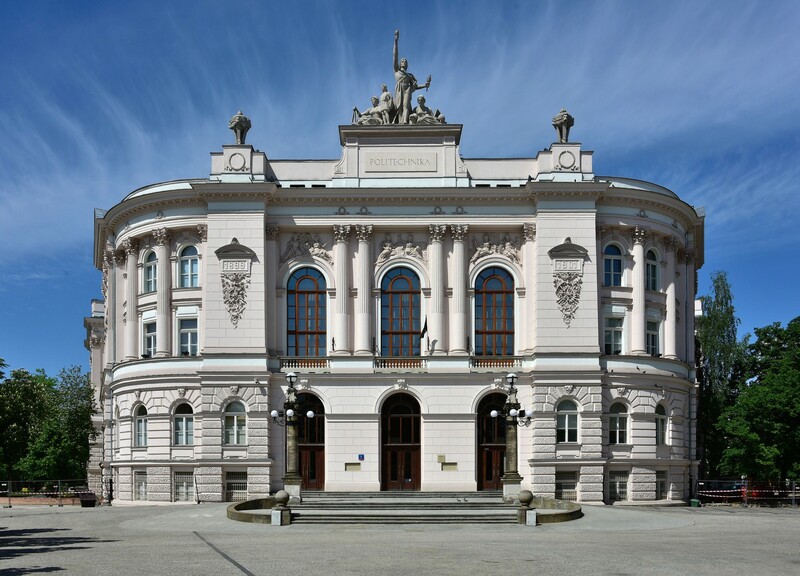 Thankfully, I was happy to meet people who were studying full time at Politechnika Warszawska, and they always knew everything that had to be delivered and done. So, I advise you to connect with your colleagues, not only Erasmus ones, but also the ones who are full time students. This is the good side of the University, meeting full time students gives you a real insight into how it is to study at PW, and I was very happy to meet these people. You might think they would be Polish, but in fact my class was made up of 90% Indian people. It was funny to find this, and it was amazing to meet all of them. Very nice people, always happy to help and to make friendships. I am happy to say I have lots of Indian friends now. These are the two most relevant things I would have to say about it. Classes are as in my home University, Professors are more or less the same, competent, but not the best teachers. I had a tough time doing my courses, but mostly because of the lack of organization, and not the diffculty. 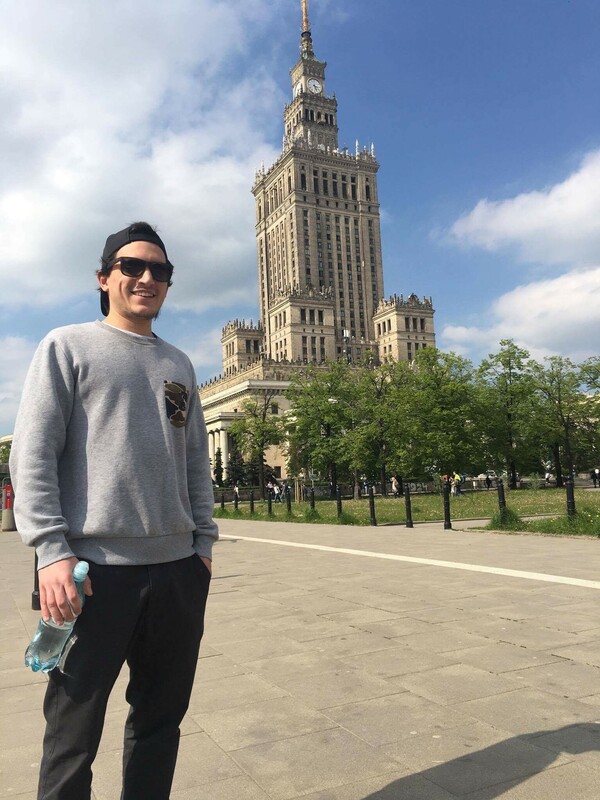 It was very interesting to arrive to Warsaw, and to go to the main campus of PW and find out that the buildings were very beautiful, with some classic architecture. I was happy for this, as my home campus is quite ugly and uninspiring, but this one had what I needed. Yet, I only went there one time, it was in the beginning of the semester and it was to discover that my classes were in the second campus located in Narbutta. When I arrived there, the beauty I once saw completely vanished. This was now a very old building, probably communist architecture. Not pretty at first sight, but I gradually liked it more as time passed. Sunny days made the area around it pretty, and although the insides of it were very old, and some labs could really fit in a 40's movie, very rusty and with clear marks of the time that has passed since its construction, it gave me a feeling of satisfaction. After all, it was different from my home Uni, and that for me was enough. Tutors were very nice in general. One could say that there was one or two who was not nice in classes, but all were friendly when talking in person. Some were competent, some were not, but in the end, my mission of passing all courses was accomplished, so I was happy. This next advise serves not only to the PW professors, but also to all professors: build a relationship with your tutors. Every time I did this I did well in that course, met a new person, grew up, and had fun! So do the same in PW, which can be even easier for Erasmus students, as normally tutors can be more interested in foreigners for their difference in culture, or because they have an interest in your country. Take a risk, and you will be rewarded. Are the lessons easy in Politechnika Warszawska? Lessons can be difficult to understand. I missed most of them. I only went to those that tutors really made you go to, such as labs and project classes, the rest I knew it was useless. Classes were too long! This was a novelty to me. Classes could take 3 hours or more, with only some 2 small breaks in between. It really was not fit for me. Tutors can sometimes fail to speak understandable English, power points are not that well designed, and probably have been the same for years, and some times had the same errors of previous years, without being corrected, either because of incompetence or just to make it harder for students who missed classes. There are many people in class, so noise can also disturb you. Does the University organise activities? If so, what are they like? I do not recall participating in any University activities outside classes, so I am not the right person to answer this question, although I do know they are present at Juwenalia, the student fest that happens every year with concerts and music for everyone. Do you think there is a good quality of teaching? I cannot say it has a good or bad quality. I certainly learned many things while studying there. Theoretically I did not learn much, or anything at all. Yet, practically I had many new experiences, such as labs that I never had on production methods before, design projects, presentations and other projects that increased my work load at home, which I did not wish at all, but at least made me do something besides partying all the time. Are there any stories you can share? Of course, there are many stories. I will tell you one. I had a professor who liked very much to interact with students, specially those who were foreigners and talk about their countries and cultures. This professor liked to talk specially with me. We mostly talked about football and Cristiano Ronaldo. One day, the champions league final was about to happen. Juventus would play Real Madrid. The professor started to tease me saying that Juventus would win the final, and I disagreed with this because I knew Ronaldo and Real Madrid were the best team in Europe at the time and that although both were in the final, there would only be one winner. Out of nothing, the professor proposed a bet, in front of the whole class. He said to me that he bet that Juventus would win the final and that me and my colleagues would have to pay him a coffee if they did, otherwise, if Real Madrid would win he would give us the maximum grade in the course's final project. I was astonished by such a proposal, and was very happy to accept it, but corrected his prize, in case Juventus would win, to a beer instead of a coffee. The match ended 1-4, with a Real Madrid win and two Ronaldo Goals. As I arrived to the next class, I did not need to say a word. I entered the room and the professor called me to see his laptop. There it was, the maximum grade, and everyone was very happy! Check out my full article on Lisbon for more experience descriptions! Share your Erasmus Experience in Politechnika Warszawska! If you know Politechnika Warszawska as native, traveler or as exchange student... share your opinion on Politechnika Warszawska! Rate different characteristics and share your experience.